Both are the same place, Sheol the Hebrew word and Hades the Greek word. This is substantiated by the same Scripture appearing in the Old testament and the New Testament. In Psalm 16:10 we are told concerning Christ "For thou wilt not leave my soul in Hell (Hebrew - Sheol), neither wilt thou suffer thine Holy One (Christ) to see corruption." The last part of this Verse is stating that Christ would not see corruption is referring to the His resurrection. This is made clear by Acts 2:3, "He (David) seeing this before spake of the resurrection of Christ, that His soul was not left in Hell (Hades), neither His flesh did see corruption." KJT "For thou wilt not leave my soul in HELL (Hebrew "Sheol") ..." NIV "because you will not abandon me to the GRAVE..."
B. Acts 2:27 (Peter quoting Psalm 16:10) KJT "Because thou wilt not leave my soul in HELL (Greek "Hades") ..." NIV "...because you will not abandon me to the GRAVE..."
KJT " He seeing this before spake of the resurrection of Christ, that his soul (his person) was not left in HELL (Greek 'Hades'), neither his flesh (body) did see corruption." NIV "Seeing what was ahead, he spoke of the resurrection of the Christ, that he was not abandoned to the GRAVE, nor did his body see decay." "Now that he (Christ) ascended, what is it but that he also DESCENDED FIRST INTO THE LOWER PARTS OF THE EARTH?" One does not have to know any Greek or Hebrew to be able to look this up for themselves. Strong's Concordance or Vine's Expository Words in the Greek New Testament will substantiate the foregoing. If a layman can look this up and verify it, then will you tell me how a "hundred scholars" can accidentally come up with a "misnomer" like this which entices its readers to accept a false doctrine. Personally, I believe this was done deliberately and deceitfully. When Christ died on the cross, His soul and Spirit went to Hades, being separated from the body, which went to the tomb. This Verse, both in Psalm 16:10 and Acts 2:27,31, state the soul and Spirit of Christ would not remain in Hades, but would unite with His resurrected body after 3 days. The phrase "that His body would not see corruption," i.e., purification and odor sets in on the fourth day. An example of this can be seen in the death of Lazarus who had been in the grave four days. In John 11:17 we are told that, "Then when Jesus came, he found that he (Lazarus) had lain in the grave four days already." Notice in Verse 39 that "Jesus said, Take ye away the stone. Martha, the sister of him that lay dead, saith unto Him, Lord, by this time he stinketh for he had been dead four days." The fact that the body of Christ was not to see "corruption" plainly meant that the body of Christ would be resurrected before the fourth day. He would not remain in the tomb to the fourth day. We are not going to exhaust all the Scriptures concerning the location of Sheol and Hades, but only give a couple to substantiate clearly where it is located. 1. Matthew 12:40. "For as Jonas was three days and three nights in the whale's belly; so shall the Son of man be three days and three nights in the heart of the earth." Acts 2:27 says that Christ went to Hades and here we are told He went to the heart of the earth, so Hades is located in the heart (middle or center) of the earth. 2. Isaiah 14:9. Here Isaiah is speaking concerning the fall of Babylon. "Hell (Sheol) from beneath is moved for thee to meet thee at thy coming..." The word "beneath" here is the Hebrew word "tachath." It comes from a Hebrew root word meaning to depress, the bottom, below and underneath. In other words, Sheol is located depressed, below, underneath and in the bottom of the earth. 3. (The two compartments within Sheol and Hades). Within Hades, we learn from Luke 16, there are two compartments separated by a tremendous gulf. Prior to Christ's ascension back to heaven in Acts 1:11, both saved and lost went to one of the two compartments in Hades. The gulf separated the two places which are called a place of torment (lost) and "Abraham's Bosom" or Paradise for, the saved. We must emphasize that Sheol and Hades are all-inclusive of both places. Only the context of the Scripture will determine whether a person went to Torment or Paradise within Hades. Now in Luke 16 we find a Christian by the name of Lazarus who was very poor, financially, but when he died he went to the paradise side of Hades. Here is the record in Verse 22, "And it came to pass, that the beggar died, and was carried by the angels into Abraham's bosom..." This is also the compartment where Christ went for three days and nights before His Resurrection. Notice in Luke 23:43 when Christ was speaking to the thief on the cross, who had trusted Him as Saviour. "And Jesus said unto him (the thief), Verily I say unto thee, Today thou shalt be with me in paradise." Remember, no saved in the Old Testament ever went to Heaven, but rather to the Paradise side of Sheol and Hades. Further, in Luke 16 we are told of a lost man who was very rich, but lost, and who went to the torment side of Hades. Here is the record in Verses 22b-24. "...the rich man also died and was buried (the grave claimed his body); and in Hell (Sheol claimed his soul and spirit) he lift up his eyes, being in torments, and seeth Abraham afar off, and Lazarus in his bosom. And he cried and said, Father Abraham, have mercy on me, and send Lazarus, that he may dip the tip of his finger in water, and cool my tongue; for I am tormented in this flame." What a sad condition of the reality of what a lost person has to face when they die. Their joking about the Bible, their mocking of Christ, their evolutionary trash they have propagated, their taking of the Lord's name in vain and their exalted opinion of themselves that they are their own god will all come to an end. At death, they will be cast into this awful place of torment. Truly, they have played the fool as God has said in Psalm 14:1, "The fool hath said in his heart, There is no God." Little realizing, until it is too late that "The wicked shall be turned into Hell (Sheol), and all the nations that forget God" (Psalm 9:17). We are now told that within Hades, between Paradise and Torment, that there is a tremendous gulf separating the two places, so that no one can go from one place to the other. Here is the record in Verse 26, "And beside all this, between us (Abraham and Lazarus) and you (lost men), there is a great gulf fixed: so that they which would pass from hence to you cannot; neither can they pass to us, that would come from thence." When the lost man realized there was no hope for him, as his eternal destiny was sealed in this place of torment, he then interceded for his five brothers that were still alive. In Verse 27 and 28 we have the account, "Then he said, I pray thee therefore, father that thou wouldest send him to my father's house, for I have five brethren: that he may testify unto them, least they also come to this place of torment." This man was now a believer but it was too late for himself, so he prays that someone would tell his brothers. The Hebrew word for "pray" in Verse 27 brings out the strength of this man's feelings. The usual Greek word for "pray" when used in worship to God is "proseuchomai." But here a different word is used for "pray," which is "erotao." This word means interrogate, desire and entreat. In police work, interrogate means you keep asking in various, different ways until you get what you want, which is the truth. You are persistent with a strong desire. The Greek word for pray lets us know that this man was more than just casually asking Abraham, but had a strong desire, persistently asking in various different ways to persuade Abraham to send someone to warn his five brothers. His persistence is recorded in Verse 30 after Abraham had just said to him, "...They (his brothers) have Moses and the prophets: let them hear them." Here is his reply, "and he said, Nay, Father Abraham: but if one went unto them from the dead, they will repent (change their mind)." No doubt he was still trying, but to no avail for Abraham closed the conversation when he told him, "If they hear not Moses and the prophets, neither will they be persuaded, though one rose from the dead." This is a true and literal account of the conversation between a lost man in the Torment of Hades and Abraham in the Paradise side of Hades. A true account of where they were and what they said. 1. Hades has two compartments, one is Paradise and the other is Torment. 2. They are separated by a large gulf. 3. No one can pass from Torment to Paradise. 4. The lost and saved went immediately to their respective places. 5. They were taken there by the angels of God. 6. In Torment this man had a tongue, could feel the flames of Torment, could talk, could think and reason. He had all the attributes in Hades that he had on earth. 7. He possessed a spiritual or soulish body which had sensitivity and reasoning, but could not be annihilated by the flames of torment. We might point out that this is not his resurrected body unto damnation, which he will have when he is later cast into the Lake of Fire. This will be illustrated in Diagram 6. 8. No one will go back from Paradise to talk with those still alive on earth, as this lost man had requested. 9. Moses and the prophets did record the death, burial, and resurrection of Christ in the Bible. Since Christ did come back from the dead, there are those who will not believe it, neither would they if someone also came back today. 10. A doctrinal consideration-many claim this is a parable, but one will find that no parable ever uses a proper name. There are no exceptions. Hypothetically, if this were a parable, then the reality of Hell would be much worse for parables are given to illustrate Biblical truth. We can only thank God for telling us of this awful place that we have been delivered from by trusting Jesus Christ as our personal Saviour. He gave His life to save ours--what a Saviour! "For if God spared not the angels that sinned, but cast them down to Hell (Tartarus), and delivered them unto chains of darkness, to be reserved unto judgment." "And the angels which kept not their first estate, but left their own habitation, he hath reserved in everlasting chains under darkness unto the judgment of the great day (Great White Throne Judgment)." The exact location of Tartarus is not known. This place is not Sheol or Hades or the eternal Lake of Fire, which is the same place as "Geenna" or Gehenna in the Greek. These are all separate places. In Matthew 25:41 we learn that eventually the lost and the wicked angels will be together in their final place of torment, which is the everlasting Lake of Fire. This place was originally created by God for the Devil and his angels, prior to God's creating man on the earth. Since Adam plunged the whole human race under sin and it's condemnation, those who do not escape by the blood of Christ will share their eternal torment with the ones it was created for. "Then shall he say to them on the left hand, Depart from me, ye cursed (lost), into everlasting fire, prepared for the Devil and his angels." Even though the exact location is not given, we have located it under the earth so we may refer to it from time to time on our diagram. 1. Mark 9:46, "Where the worm dieth not, and the fire is not quenched." 2. Revelation 21:8, "But the fearful, and unbelieving, and the abominable, and murderers, and whoremongers, and sorcerers, and idolaters, and all liars, shall have their part in the lake which burneth with fire and brimstone: which is the second death." 3. Matthew 8:12, "But the children of the Kingdom, shall be cast out into outer darkness: where there shall be weeping and gnashing of teeth." These "children of the Kingdom" are Jews, not the church. They are called children, yet not saved. These in the Old Testament, up to Calvary, who have rejected the Messiah, will be cast in outer darkness at the end of the Tribulation. 4. Matthew 13:42, "And shall cast them into a furnace of fire: there shall be wailing and gnashing of teeth." 5. Luke 3:17, "Whose fan is in his (Christ's) hand, and he will throughly purge his floor, and will gather the wheat (the saved) into his garner; but the chaff (the lost) he will burn with fire unquenchable." This takes place at the end of the Tribulation when Christ judges the nations. 6. Jude 13b, "...to whom is reserved the blackness of darkness forever." 7. Revelation 14:9-11, "...If any man worship the beast and his image, and receive his mark ("666") in his forehead, or in his hand, The same shall drink of the wine of the wrath of God, which is poured out without mixture into the cup of his indignation; and he shall be tormented with fire and brimstone in the presence of the holy angels, and in the presence of the Lamb: And the smoke of their torment ascendeth up forever and ever: and they have no rest day nor night..."
8. 2nd Thessalonians 1:8, "In flaming fire taking vengeance on them that know not God, and that obey not the gospel of our Lord Jesus Christ." 9. 2nd Thessalonians 1:9, "Punished with everlasting destruction from the presence of the Lord, and from the glory of his power." The Bottomless Pit does not appear in the Old Testament. This is found seven times in the New Testament and, in all cases, translates from the Greek word "abussos" or abyss. It is properly translated and the Greek word means, "depthless, deep or bottomless." It is a separate place of its own. The exact location is not given, but many scholars believe it is an extended compartment of the Torment side of Hades. Whether this is true or not, no one really knows. Vine's Expository Words of The Greek New Testament states "It describes an immeasurable depth, the underworld, the lower regions, the Abyss of Sheol." 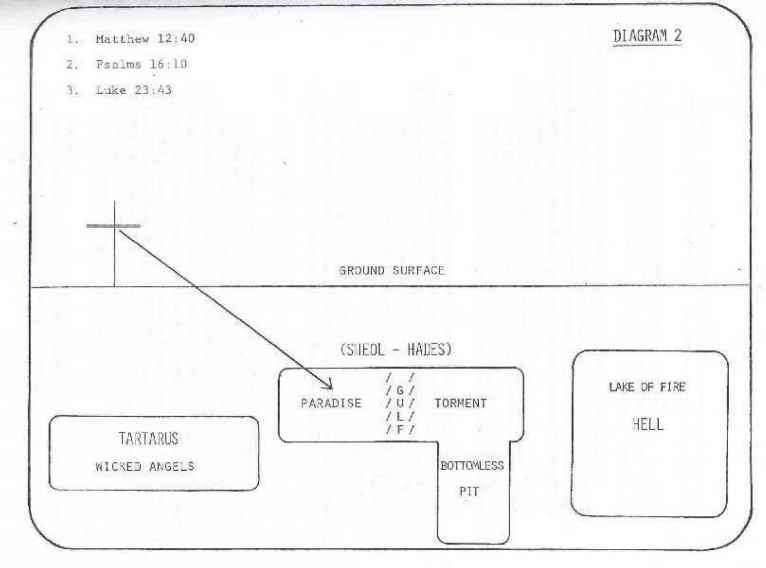 We have shown it as connected to "Torment of Sheol" in our diagrams for further references. In Revelation 20:7 this bottomless pit is also called a prison. This pit is locked and controlled by God, Who send His angels to unlock it at His discretion. It contains smoke, as of a great furnace, ungodly creatures called locusts, the Beast (Anti-Christ) and Satan, himself, when he is confined there a thousand years. "And the fifth angel sounded and I saw a star fall from heaven unto the earth; and to him (angel) was given the key of the bottomless pit." "And I saw an angel come down from Heaven, having the key of the bottomless pit, and a great chain in his hand." These creatures are released to torment people on the earth for five months during the Tribulation Period. Here is the word: "And he (angel) opened the bottomless pit; and there arose a smoke out of the pit, as the smoke of a great furnace; and the sun and the air were darkened by reason of the smoke of the pit. And there came out of the smoke locusts upon the earth: and unto them was given power, as the scorpions of the earth have power." These locusts are not to kill (Verse 5), only torment those who have not the seal of God in their foreheads (Verse 4). "...in those days shall men seek death, and shall not find it: and shall desire to die, and death shall flee from them" (Verse 6). We have no idea what is in the underworld or what the future holds, but God was gracious enough to reveal to us about this place and these creatures. This takes place during the 7-Year Tribulation Period at the blowing of the Fifth Trumpet of Judgment. 3. The Anti-Christ or the Beast. (Revelation 11:7). In Revelation 11, God's two witnesses preach for 3-1/2 years (Verse 3) and finish their testimony (Verse 7). They are allowed by God to be killed in Jerusalem (Verse 18) and their bodies put on public display for 3-1/2 days (Verse 19). They are resurrected and then ascend directly to Heaven (Verses 11,12). The one who kills these two witnesses of God is none other than the Anti-Christ, himself. He is called the Beast in Verse 7 as this describes his character, and he comes out of the bottomless pit. Here is the record, "And when they (two witnesses) shall have finished their testimony, the beast that ascendeth out of the bottomless pit shall make war against them, and shall overcome them, and kill them." When Christ comes back at the end of the Tribulation Period, He judges the nations in Matthew 24 and 25 in preparation for setting up the earthly Messianic Kingdom for 1,000 years. At this time, He confines Satan, himself, in chains to the Bottomless Pit for 1,000 years. After the 1,000 years, he is loosed for a short season and then cast into the Lake of Fire. Here is the record, "And he (the angel) laid hold on the dragon, that old serpent, which is the Devil, and Satan, and bound him a thousand years, and cast him into the bottomless pit, and shut him up, and set a seal upon him, that he should deceive the nations no more, till the thousand years should be fulfilled, and after that he must be loosed a little season. And when the thousand years are expired, Satan shall be loosed out of his prison." A man told me once that he thought Satan was chained today. If that is true, it must be an awful long chain! Another person was kidding me and said he thought Satan was chained to him! No, he will not be chained (confined) until the end of the 7-Year Tribulation. We have identified Sheol and Hades, Tartarus, the Lake of Fire (Geenna), the Bottomless Pit, Torment and Paradise. Now, check Diagram 1 as a refresher of these various places. Once the believer has a mental picture of these various places, it becomes much easier to discern the various Scriptures that relate to the subject of Hell. We are now ready for Diagram 2. 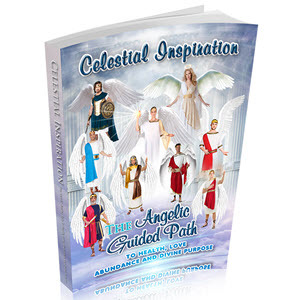 Be Prepared To See Massive Changes In Your Destiny Guided By The Archangels. 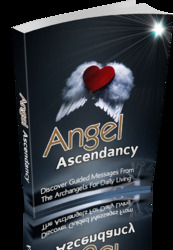 This Book Is One Of The Most Valuable Guide To Communicate With Archangels For Life.